Manufacturing - Ryan & Wetmore, P.C. 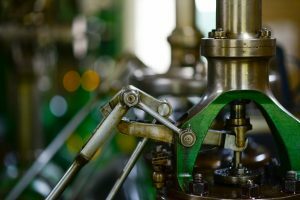 Manufacturing companies face many challenges unique to the industry. Pricing and competitive pressures, product quality, inventory management, and process optimization are only a few of these challenges. To be successful, it is essential to work with a business advisor that understands the nuances of your industry and the operational issues faced. Any accounting firm can provide tax, assurance and accounting services, but only a few can offer advice that puts your company in an optimal position. Ryan & Wetmore has experience serving the diverse needs of manufacturers across the Mid-Atlantic region. We work with a number of manufacturers varying from emerging entities serving domestic markets to large manufacturers serving markets worldwide. Not receiving the expected value from your current accounting relationship? Looking for a provider with experience in the manufacturing industry? If so, then contact us today! For more information on our manufacturing industry services, please contact us at (301) 585-0506, or click here to email us. During a brief consultation, we can assess your needs and determine the best way for us to assist you.